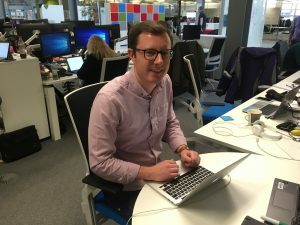 I lead a multidisciplinary agile scrum team in the design, research and delivery of Personal Tax products within the Digital Delivery Centre in Newcastle. The emphasis on digital products represents a transformation in the way organisations are supporting digital and was a key motivating factor in working here. We’re creating products based around user needs and providing meaningful value to citizens and businesses. 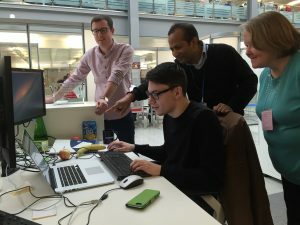 This is the best part of being a Product Manager at HMRC as I’m able to act as a champion for users and their needs, whilst considering other variables such as technology and business goals. I’m currently supporting the delivery of products as part of HMRC’s Making Tax Digital programme, working on a tax calculation service that allows users to claim a tax refund or make a tax payment. In the two years I’ve worked at HMRC I’ve seen a continual transformation towards personal accounts that allow people to manage their portfolio of taxes in one place. The need for innovation, deep discovery and collaboration to meet these challenges is what makes HMRC a great place to work. If having new and interesting problems to solve within a fantastic digital culture sounds like something that would interest you, then we’re recruiting for Product Managers to work in our Digital Centres across the country. You'll get to work with smart and dedicated people doing some of the most interesting work in digital Government. The closing date is 15 February 2017. Best of luck with your application, we look forward to hearing from you. Take a look at some of our other blog posts that showcase what a fantastic place HMRC is to work and how we’re at the forefront of digital delivery in Government. And sign up for email alerts too.